Likes: Balanced with Islay smoky clout! Lagavulin is a distillery located on the Scottish isle of Islay, which is most famous for its production of whiskies that explode with peat and smoke. 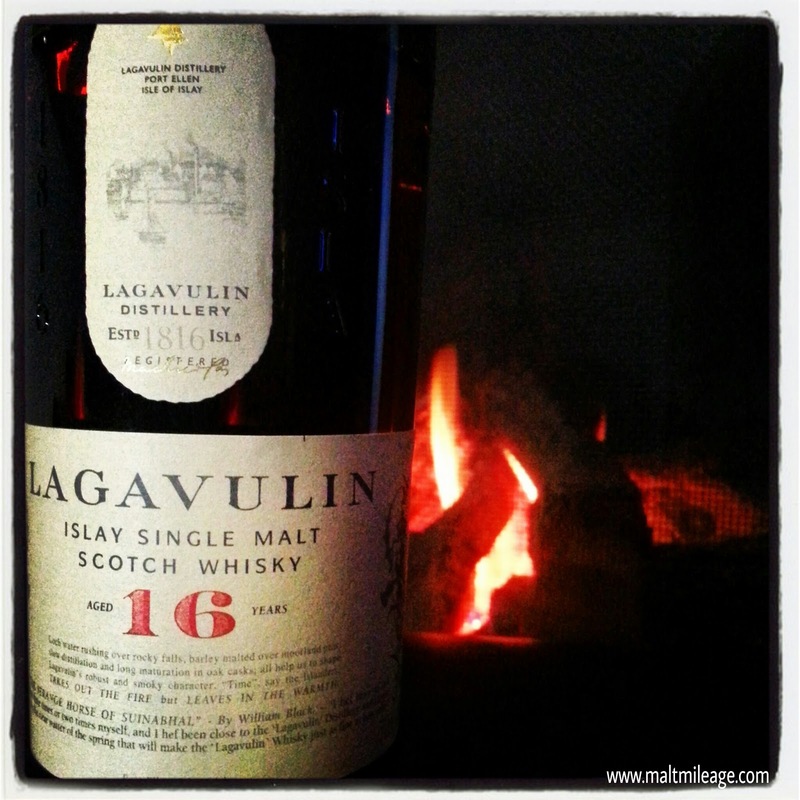 In line with this reputation, Lagavulin has produced quite a volcanic character in the 16 Year Old because this whisky bursts with smoke and ash while sugary sweetness draws back the fumes to expose the earthy vegetation and complex peat. The plumes of smoke and ash are cut through by shining beams of sugary sweetness, almost like sherry, as the complex peat is exposed and releases dry grass with grainy earthiness. Pungent and strong on the nose, a bouquet of character wafts up from the glass with that most complex peat warranting a lot of peeling away and exploration. A spray of salty sea water hits the nose triggering what is now a clearly noticeable beach theme; dried sea weed and sea shells. The character is superbly balanced, and nothing dominates very noticeably. That sugary sweetness develops into a sweet red wine with lemonade, as its fizz adds a little charm. Smooth as silk, this whisky slams against my palate with a gust of sea salt and peat that is moderated by that lovely sweetness; then they all burst into flames as a puff of cigar smoke explodes and then settles to reveal subtle earthiness and ash from which bubbly sweet limonata shines (Italian lemonade, which is more bitter and with natural lemon) The character of the beach lingers on my tongue. Bitter orange and licorice line my tongue and coat it with this distinctive, ashy and beachy, Lagavulin magic! The finish on this whisky is spectacular, because the theme of ash, peat and smoke continue to permeate from the base of my tongue long after taking a sip. That sea salt merges with the sweetness to form a almost sea salted caramel with notes of peat.